Online bathroom retailer Victorian Plumbing has launched a TV ad campaign starring Laurence Llewelyn-Bowen as its ‘Star Employee’. The advertisement takes the viewer on a tour of ‘larger than life’ company headquarters and sees the designer, famed for DIY SOS and Changing Rooms, waiting to be unleashed on the next bathroom in need of his aid. 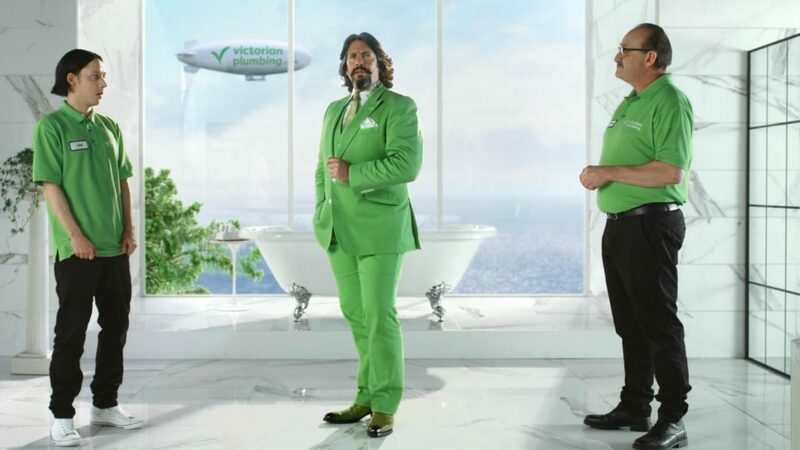 It also see the reappearance of ‘Victor’ and ‘Ian’, characters of its Green Button ad campaign, who are tasked with helping Laurence prepare for bathroom rescues. Featuring quick cuts, over-the-top visuals and use of the actors’ comedic timing, the advert is intended to create a lightheartened tone and set Victorian Plumbing apart from competitiors. It will be featured on all major UK channels, with spots during The Voice and Britain’s Got Talent. The TV ad will be accompanied by an outdoor campaign, appearing on billboards in places such as London Euston and Birmingham New Street stations. Digital billboards will be used alongside traditional motorway display points. Victorian Plumbing TV adverts generated 420million impressions, last year, and it aims to better this figure in 2019. In addition, its outdoor campaign is expected to achieve more than 25million impressions. Chief managing officer of Victorian Plumbing Joe Pascoe commented: “Creative advertising is key for our brand identity and we see it as a way to further set ourselves apart from dull competitors in our space, and also as a solid foundation for integrated campaigns across all media. He continued: “We spent a lot of last year looking for an icon to represent the brand. “After working on a smaller social project we made the leap to work with Laurence Llewelyn-Bowen again for this campaign.